A Parliamentary worker has told how she was separated from her two-year-old son for hours as Westminster was in lock down during Wednesday's terror attack. 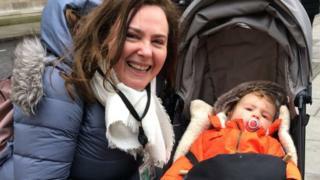 Plaid Cymru assistant Rhian Medi Roberts' son Owain was kept in the parliamentary nursery while she was ordered to stay in her office. She said she rushed to him when workers were "freed" hours later but she knew he was safe. MPs, peers and staff returned to work on Thursday. "I rushed over to the nursery as soon as we were 'freed'. But I knew him to be safe, and would be happy with his friends and carers, who were fantastic," Ms Medi said. "Also, I knew from the constant email updates from the nursery that they fed the children a lovely dinner, which they would enjoy." She said the children were kept in a corridor during the incident because the nursery windows overlooked the scene of the attack. Ms Medi said nursery workers kept them entertained with activities such as painting and she was confident they would not have been aware of what was happening. "He had a normal, happy day. Although he would have probably heard the gunshots, the crash, I'm quite confident he hasn't been badly affected by it," she said. "None of the children, as far as I know, have been." 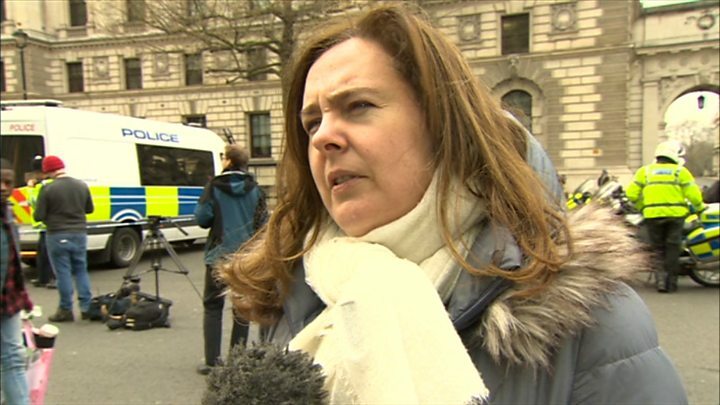 Ms Medi, who works for Arfon MP Hywel Williams, said she was first made aware of what was happening when she heard shouting and commands being given. She said she looked out of her window to see "five of six" police cars with their sirens on heading towards Westminster Bridge before she was told to remain in her office. Eight arrests in London and Birmingham have been made since the attack which left four dead, including the attacker.